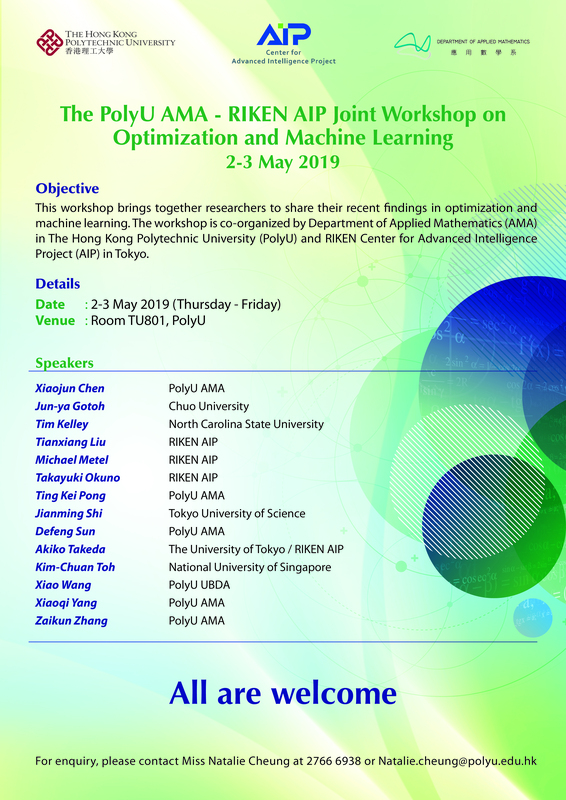 The Purpose of The Joint Research Center (JRC) is to promote research collaboration on Financial Mathematics among researchers of The Hong Kong Polytechnic University (PolyU), Hong Kong Baptist University (HKBU) and Shandong University (SDU). The PolyU, HKBU and SDU will be referred to as the Party (the Party). JRC will foster technical exchange and research cooperation between Mainland China and Hong Kong, and allows the Party to capitalize on their specialties to extend the frontiers of Financial Mathematics. The collaboration is expected to yield benefits in the developments of integrated solutions of Financial Mathematics. Members of the JRC shall consist of interested academic and research staff who are normally employed by the Party or they may be employed by other universities in Mainland China or Hong Kong. Membership of the JRC is determined in consultation with the agreement of the Directors. Membership of the JRC will be reviewed from time to time by the Directors. Initially, JRC will undertake 3-4 research projects on Financial Mathematics through discussions among the Directors. These projects will be reviewed for every two years and their continuation will be determined by the Directors. New projects may be introduced subsequently through discussions among the Directors. The aim is to tackle some important research topics on financial mathematics. The JRC will organize conferences and workshops on financial mathematics in regular intervals. These can take place in venues in the Party's premises.